I have seen a lot of different fried rice recipes on Pinterest and various blogs lately. I love, love, love chicken fried rice when we get Chinese take out (East Coast Chinese only!) but I hate knowing all of the extra MSG and additional unhealthy ingredients that come with it. Josh isn't a big fan of peas and some of the other items that come in it typically so I made this up using ingredients I know we both like that won't add to our waist lines. - Cook rice according to instructions and set aside. - Cook chicken breasts. I prefer to do mine the quick and easy way by boiling them for ten minutes. - Shred cooked chicken. I do this in my food processor. - Pour olive oil in a large saute pant and add garlic over medium heat. Cook for five minutes. Add kale and chicken broth and saute for about 7 minutes over low to medium heat until broth is absorbed and kale is wilted. It won't wilt as much as spinach or other greens so make sure not to burn. Add more broth if necessary. 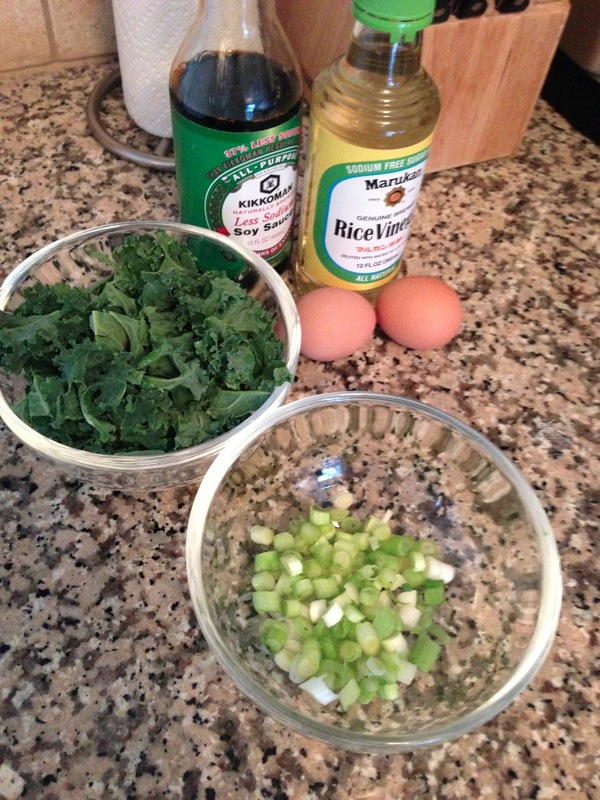 - While kale is cooking, scramble both eggs in a separate pan and break into smaller pieces. - After kale is done add rice, chicken scallions, salt and pepper (I add a large pinch of each) and cook over low heat for 5 minutes, mixing all together. You may need to cook for less time if your pan is too hot. Just make sure to eye ball/taste as you go. I added some Chinese mustard to mine and Sriracha when I ate it as left overs the next day. If you like spice then try both! That sounds really good!! Thanks for sharing!! I think it is pretty clean too! I should make this for my husband- he's obsessed with chinese food! 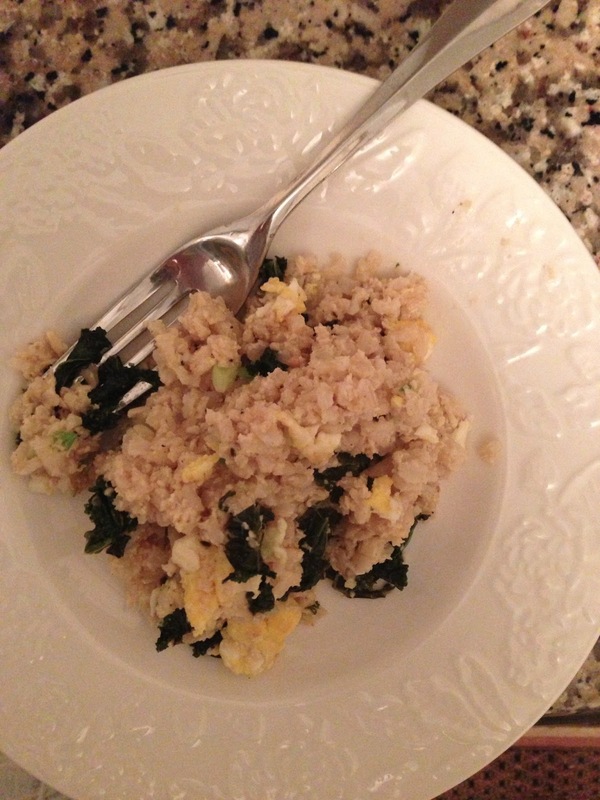 It's super easy and healthier than take out! I love Chinese too!